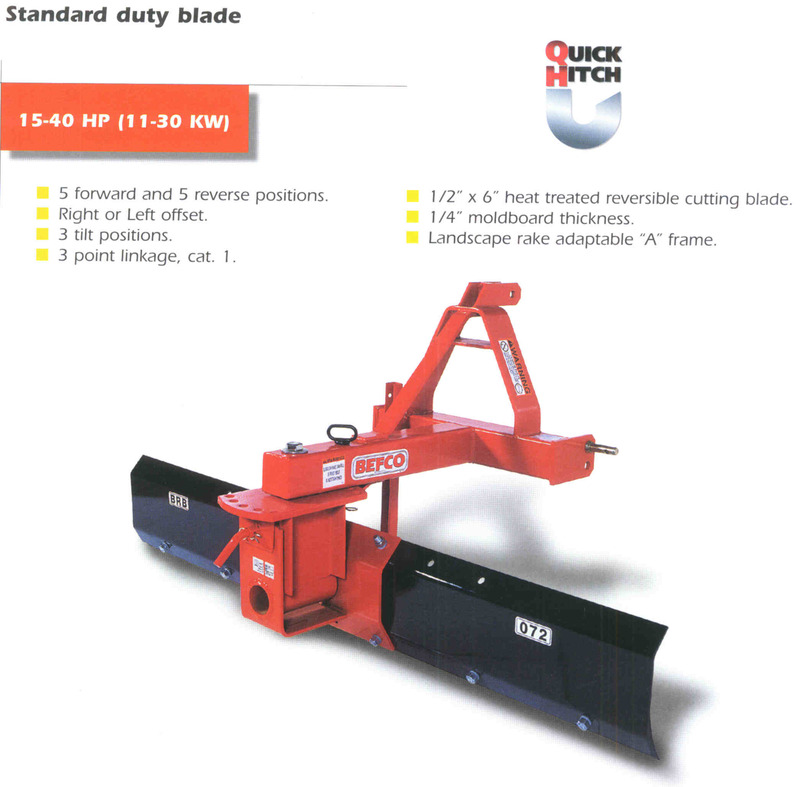 The Standard Series Rear Mount Blades mount on tractors up to 40 hp in size, and are designed for category 1 three point hitches, and are available in 4 sizes from 48 inches up through 84 inches wide. 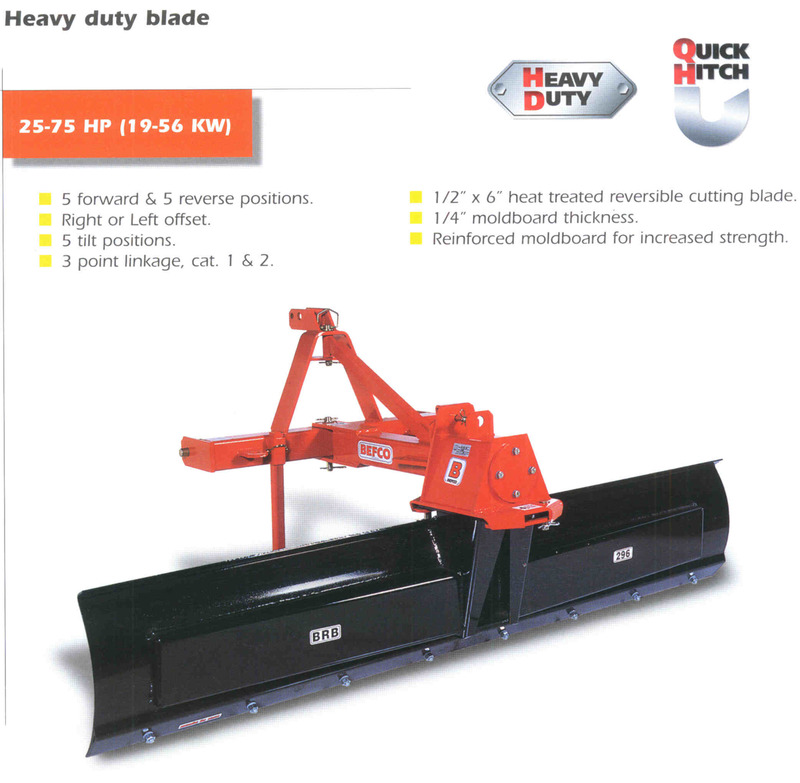 The Heavy Duty Series Blades are available in 84 inches and 96 inches wide and are designed for tractors up to 75 hp., with either category 1 or category 2 three point hitches. If ordering accessories with a blade, go to the drop down menu on the order page. If ordering an accessory separately, then click the order form button below the item.